In late 2012 I returned to north-west Yunnan for another attempt at the Doker-La pass and to try see Rock's legendary Lonjdre gorge. This time I brought along my two sons, Paul (13) and Andrew (15). Bringing along two truculent teenagers was asking for trouble, and I was to get it. 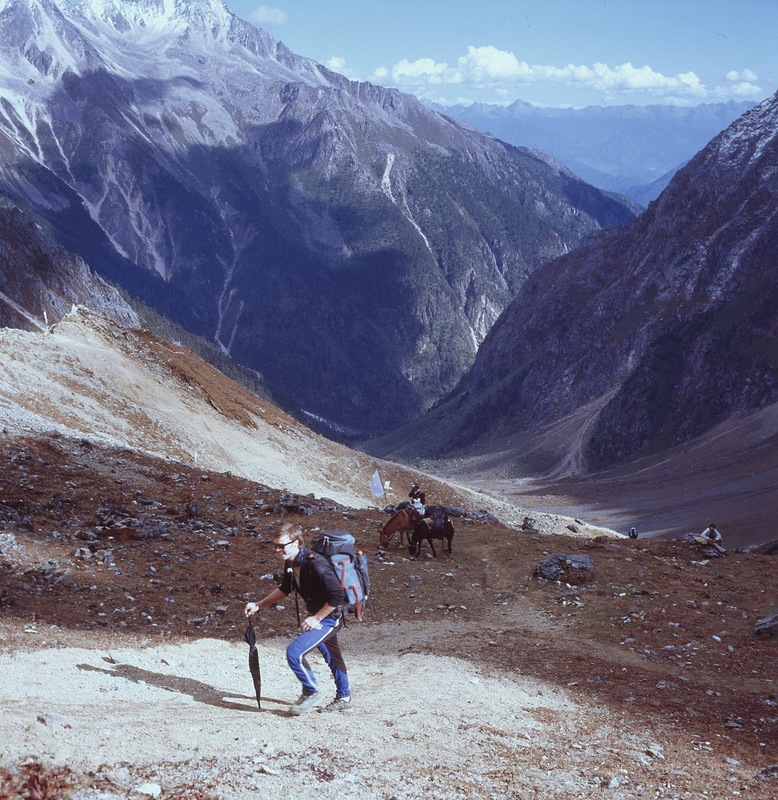 I’d originally hoped to do the kora round the Kawa Karpo mountains (Meili Xue Shan) with my previous Aussie trekking partner, Peter. However, we couldn’t match up our travel dates, and Peter had already set out to do the kora with three other Australians by the time I'd arrived in China with my sons in October. Starting out from my wife's family home in Guilin, we made our way to Deqin on a hard sleeper train to Kunming and then on buses via Lijiang. 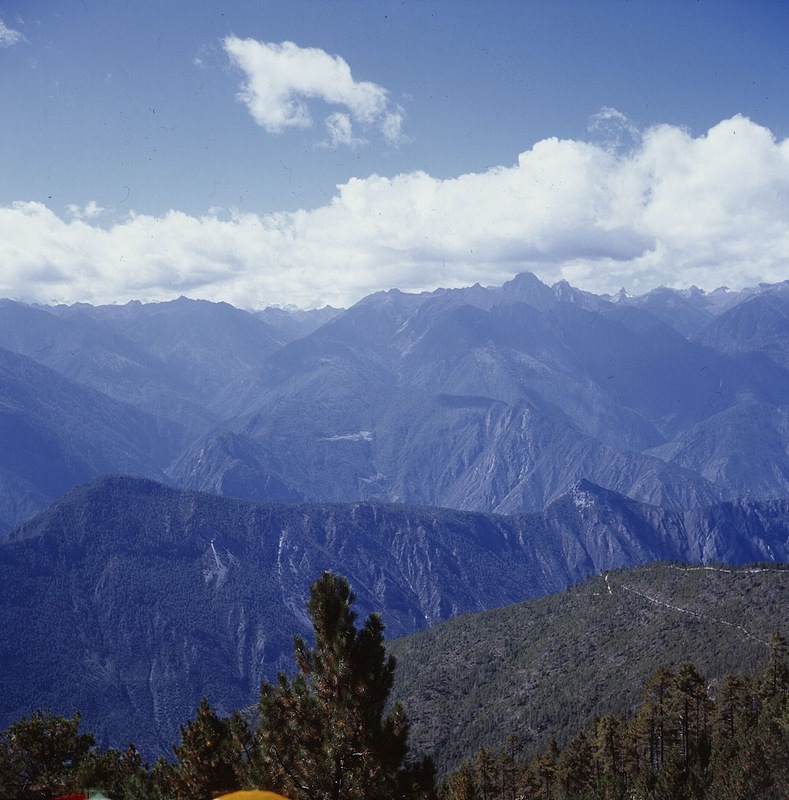 The starting point of our trek was the Fei Lai Si lookout, near Deqin, which since my last visit in the 1990s had grown into a busy tourist village for sightseers coming to view Meili Xueshan. Fei Lai Si was now crammed with souvenir shops, restaurants and guesthouses boasting the best views of the mountain panorama. The local authorities had built an official viewing area for the mountain for which they charged a exhorbitant entrance fee. 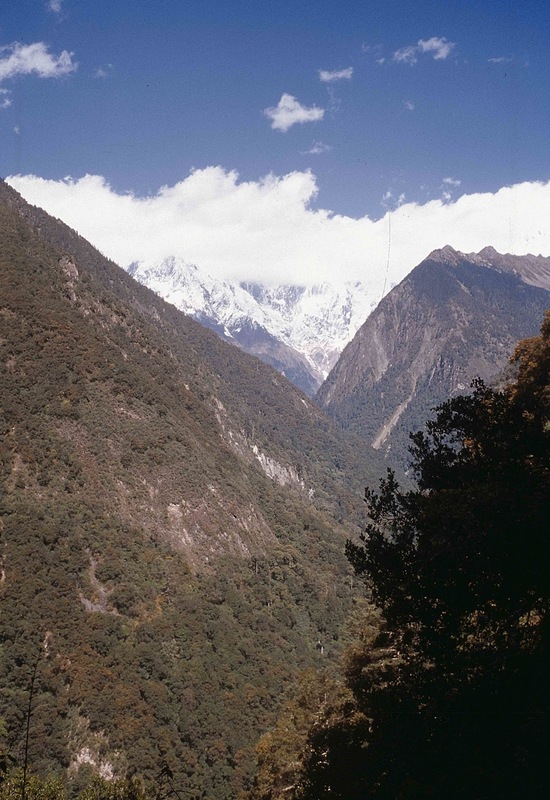 To prevent visitors from getting a free view by walking down the road they built a 12-foot high wall running right through Fei Lai Si that block anyone from getting a peek of the peaks. We didn’t have this problem as we stayed at one of the guesthouses with a viewing area on the roof. At 6am in the morning it was packed with Chinese visitors all waiting with their cameras for the sunrise to hit Meili Xue Shan/Kawa Karpo. We were fortunate to have clear skies, and there was a rush of electric shutter clicks for 20 minutes as the sun’s rays first touched the tip of the Kawa Karpo peak and spread to the valley beneath. There were also a few western tourists at Fei Lai Si, and most of them were planning to do the standard tour down to Yubeng and the Minyong glaciers, for which there was now an ‘admission charge’ of something like 200 RMB. However, we bumped into a cheerful Canadian guy from Calgary called Darren who said that he was also planning to do the full Outer Kora, and so we agreed to share a taxi ride down to the starting point at Chalitong and Yongzhi on the Mekong. Arranging the ride was easier than we expected. At around 8am, when the sunrise-viewing crowds had dissipated, we asked a Tibetan driver of a minivan taxi if he would take us there. When he asked us our plans, we told him about our aim of doing the ‘big’ kora. 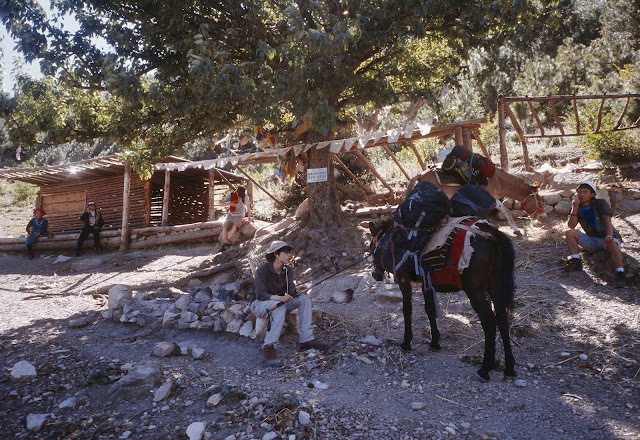 His ears pricked up when I said that and he immediately replied by saying that Yongzhi was his home village and that he could make all the arrangements for horses and a guide for us to do the kora. After a few more questions and a bit of bargaining we agreed on a deal. We arranged to hire two horses and a guide from him for 340 RMB a day for a 10-day circuit of the mountains. The Tibetan guy seemed reliable and he assured us he knew the kora well - and that one of his family would act as guide. Sorted! Before too long we were crammed in his van along with all our bags, descending down a steep and twisting side road towards the Mekong river. From this point at the southern end of the Kawa Karpo range we had perfect views of the triangular snow peak Miyetzimu. At first the rough road descended in tight hairpin turns and zig-zags, and I recalled the perilous road that I’d travelled up on from Cizhong to Deqin some years earlier. However, our current road then joined up with a newly-built modern highway running parallel to the river – it was smooth, pristine and empty and we accelerated along quickly to south. The views of the mountain peaks and the Mekong from the highway were superb –if it had been in the US or Europe this road would no doubt be marketed as one of the most scenic highways in the world. 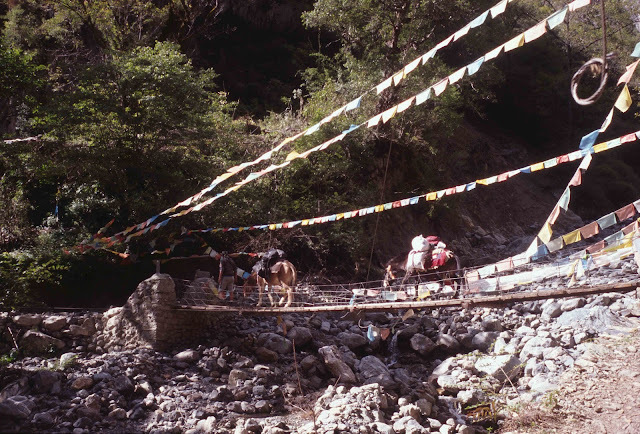 We whizzed along southwards for about fifteen minutes until we reached a simple suspension bridge crossing the river. We paused there at a roadside shack at “Chalitong” while the driver chatted to some local Tibetans and told them about our plans. One of them spoke directly to me and warned us about police checkpoints along the road on the Nujiang side of the mountain. 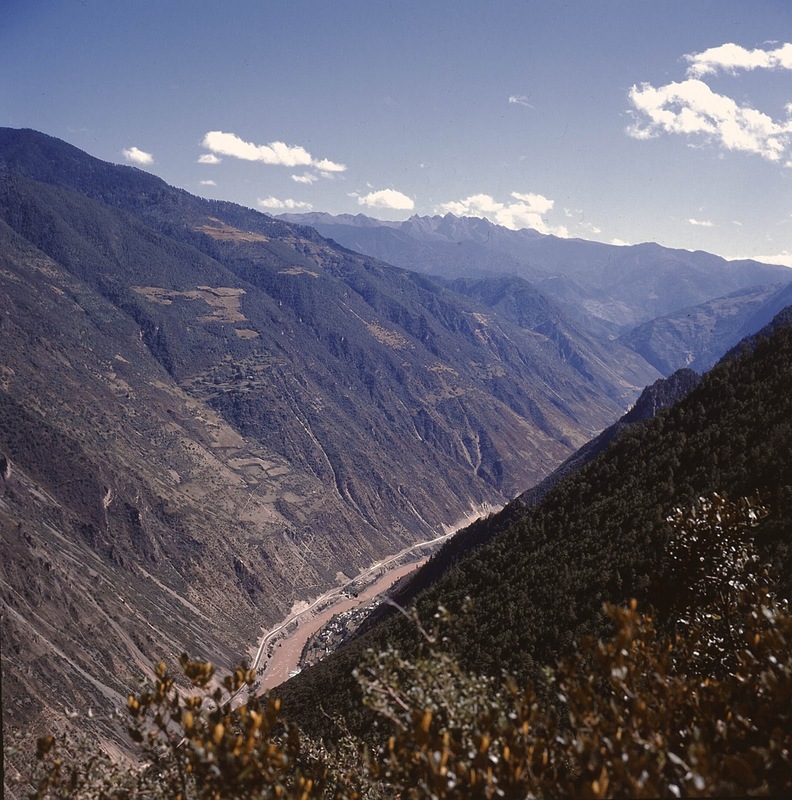 Our circuit would take us temporarily from Yunnan into the Tibetan Autonomous Region before returning back over the mountain divide, and we didn’t have the necessary permits to enter Tibet. These were only granted to tour groups who wanted to travel to Lhasa, and could only be obtained in major cities such as Chengdu. We were banking on not getting caught by walking mostly along mountain trails and taking a chance that we would not encounter any police. 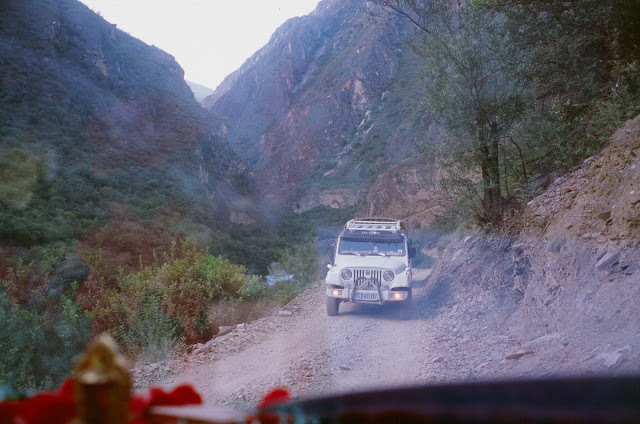 However, there was one section of the Kawa Karpo circuit that ran along the road up the Nujiang valley for about 20km and through the village of Chawalong that we had visited illicitly by 4WD a few years earlier. 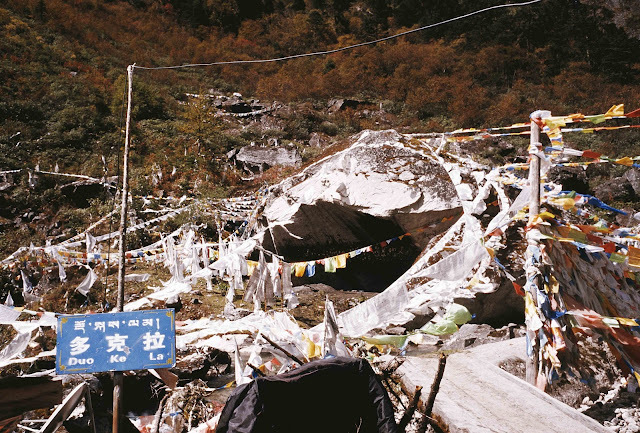 The Tibetan man now warned us that there were new police checkpoints along this road to “Chana” as he called it – and that we would have to travel ‘after dark’ when they were unmanned. Our Tibetan driver assured us that this wouldn’t be a problem and that his nephew knew how to get through the checkpoints. 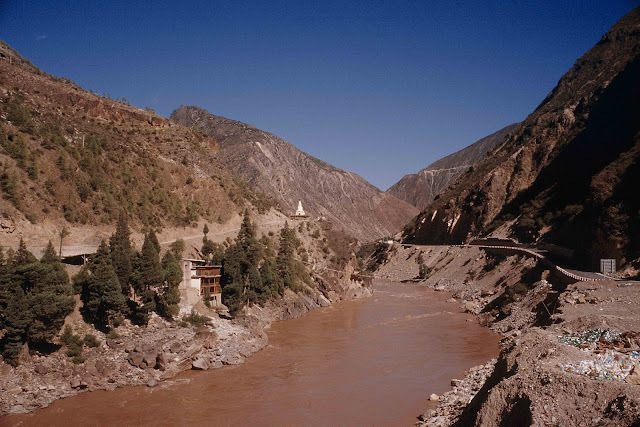 The minivan crossed the river in the morning sunshine and we ascended what seemed like a thousand feet up the opposite side, up a dusty track amid scattered Tibetan houses and farmsteads. 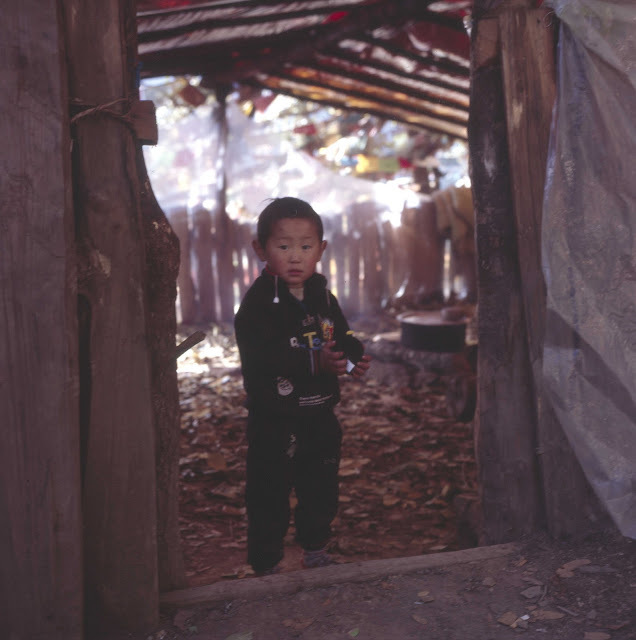 We eventually pulled up at the end of the track in Yongzhi, and disembarked into a small courtyard next a Hope Primary School where a few curious onlookers gaped at our heavy bags. The Tibetan driver took us into his house for lunch, where we were served butter tea, momo bread, pickled vegetables, mushrooms and something vaguely meaty that we assumed was chicken with lots of bones in it. The atmosphere was very friendly, and we chatted to the driver’s father about our family and our plans to do the full kora. 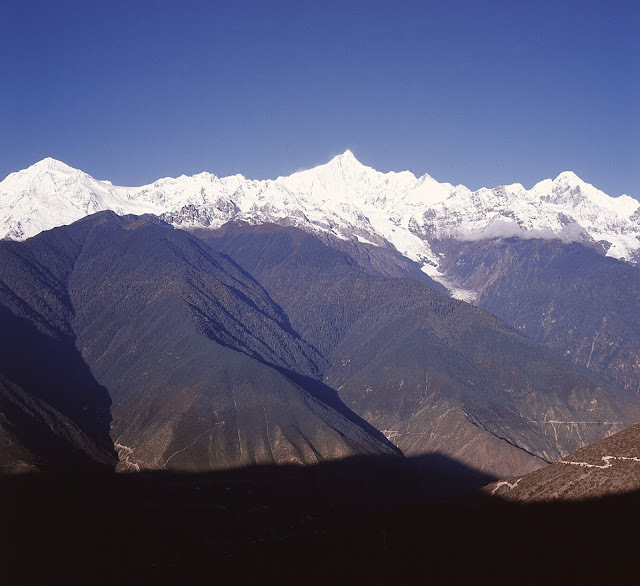 The driver left us in the care of his nephew, a young guy called Dorje, who he said had done the kora before and would guide us round the mountains. 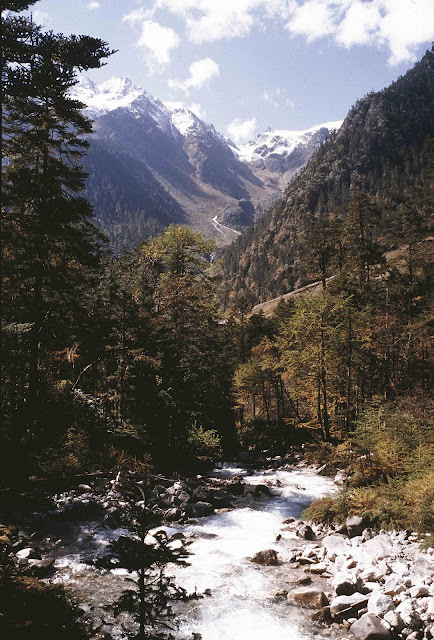 The circuit would involve crossing seven passes in total, the major ones being the Doker La on the way to the Nujiang and the Sho-La pass on the way back, both at altitudes of over 4000 metres. “When you get to the top of the Sho-La my nephew can call me in Deqin – there is mobile phone signal reception there. Then I can come pick you up at the end of the track, so you don’t have to wait around for a few hours,” he said. It all sounded very well organised. Before we set off I asked if they’d heard or seen anything of the four Aussie trekkers who were supposed to be in the area doing the kora at this time. After a bit of shoulder shrugging and conferring I was told that yes, there had been some foreigners going through on the trail recently - but they didn’t know when or where. And so after lunch and the now familiar routine of saddling up the horses, we set off on the first leg of the Kawa Karpo kora. We had three heavy backpacks strapped on to the wooden saddles of the horses – they contained our three-man MSR Mutha Hubba tent, sleeping bags and five days worth of food and cold weather clothes. By contrast, Darren was travelling ridiculously lightweight. He carried his own pack, which seemed only half full, and was walking in running shoes and with a large umbrella that he used as a walking stick and to provide shade from the sun. He told me that he’d only brought a sleeping bag and a polythene sheet for shelter. Darren was experienced in the outdoors in Canada – he worked on glaciers doing landslip work, and he seemed to know what he was doing. As we were soon to discover, Darren was quite justified and capable in travelling light. We started to ascend the hill above Yongzhi and were surprised to find that we were being accompanied not only by Dorje’s wife - a small but tough young 20-something year old women – but also the grandma of the family, dressed in her traditional Tibetan attire. She was a sprightly old lady and set a sure but steady pace on the trail, warning us not to overdo it as we’d damage our knees. It was perfect weather for walking, and even in mid-October we were able to walk in shirtsleeves and enjoy the warmth of the sun. For the first couple of hours we walked steadily up a track above Yongzhi towards the south, - it was open scrubby country and we gained spectacular views of the Mekong valley as we got higher. After a couple of hours we reached a ‘shoulder’, a pass where the track turned west and entered the Londjre gorge. Just before we left Yongzhi we’d seen the first of many groups of Tibetan pilgrims that we would encounter along the kora. It was a family group who had tramped up through the village carrying bedrolls, babies and kettles strapped to their backs. 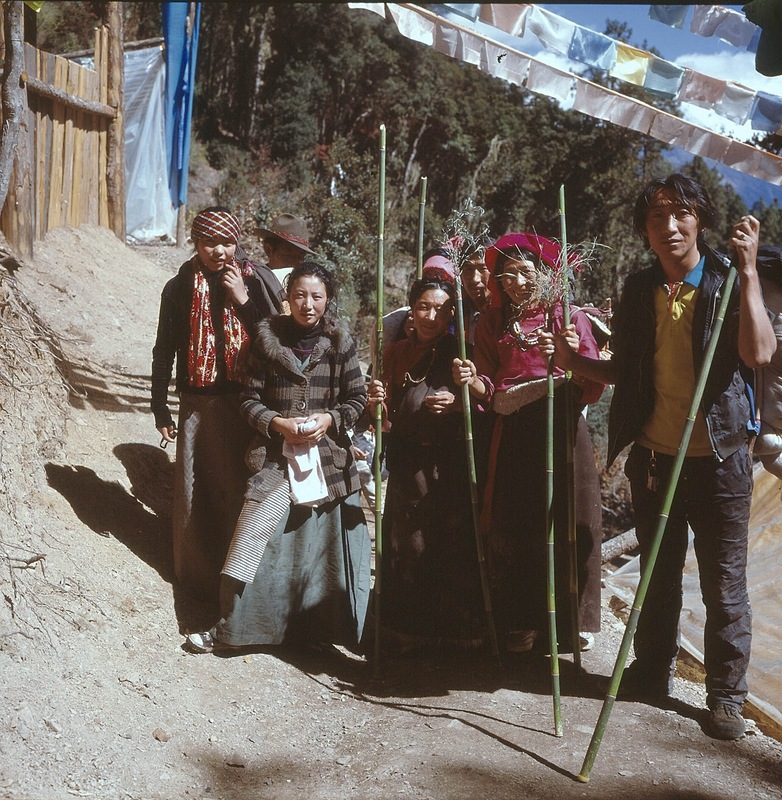 They were dressed in everyday clothes, the women with long Tibetan skirts and many adorned with necklaces and bracelets and some even having the 108 plaits in their hair. Many of them carried thick sections of green bamboo as walking sticks, with a neat trident array of leafs plonked in the top. As we entered the Londjre gorge the trail started to run through old forest and we no longer had any views except for occasional glimpses down to the settlements in the valley far below us. But already I was being distracted from the views by the bickering between my two sons. They only had one iPod between them and couldn’t agree on whose turn it was to use it. When I tried to settle the dispute, the older son, Andrew, stormed ahead in a huff, muttering about how he’d never wanted to come on the stupid walk anyway. It didn’t bode well for the next ten days of the trek. The rest of the afternoon was spent walking through forest on the side of a steep slope high above the Londre gorge. We didn’t see anything of the black spiralling corkscrew chasm track that Rock had mentioned in his writing. 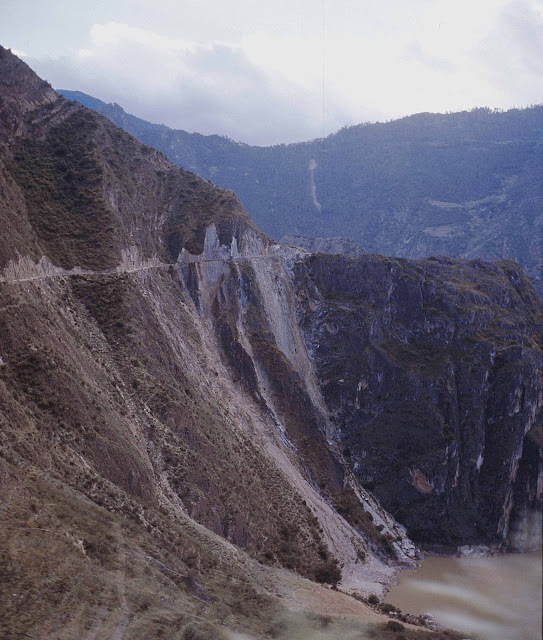 Perhaps that was on the lower alternative route that led up to the Doker-La. The track had its ups and downs but wasn’t too strenuous. There were a few ‘mini-passes’ where prayer flags had been strewn across the branches and around the trail. There were also shrines where pilgrims had left all manner of items such as clothes, hats, watches, bracelets and sometimes renminbi notes. 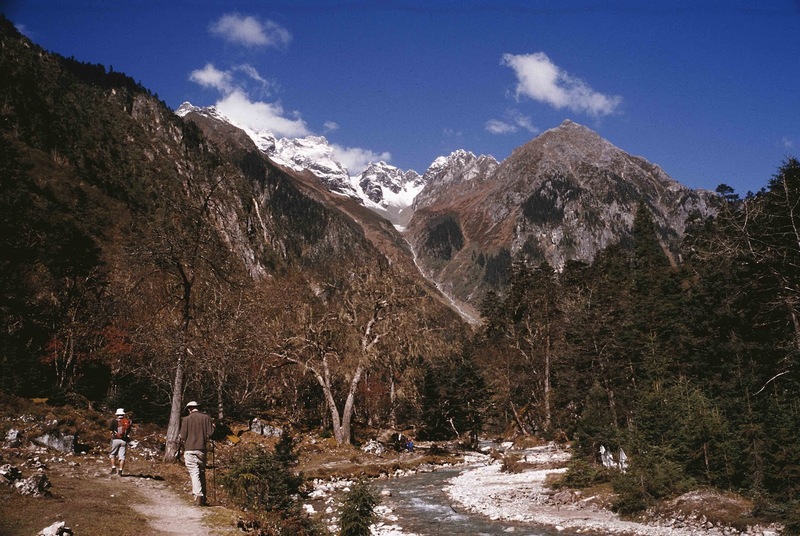 We passed a few other pilgrim groups and were wished a cheerful “Tashi Delay!”, a phrase we were to hear constantly repeated throughout the trek. There were no villages or settlements en route, and for long periods we trudged along through the silent forest, wondering what lay ahead of us. As the hours went by I began to feel daunted by the prospect of the many long days of trekking ahead. It was hard to believe that in a week’s time, if we stayed on schedule, we’d still be only two thirds of the way through the trek and would still have three days walking yet to do. My mood was not improved by the first sight of a place where I thought we might be staying overnight. 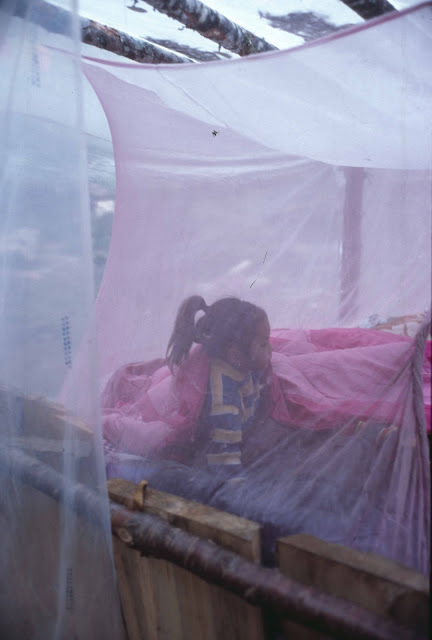 Late in the afternoon we came to a place called Qu Xia, located beside the trail in the gloomy curve of a gully were a couple of makeshift wooden shacks covered with polythene o keep the rain out. Some Tibetan pilgrims were sat around a fire there, but it didn’t look like a very welcoming scene. They gazed at us, said a perfunctory “Tashi Delay” and I was glad when our guide signaled that we keep on going along the trail. A couple of hours later we finally stumbled wearily into our first overnight stop at a place called Longna. It was a rocky clearing in the forest but there was barely any flat ground to put up a tent. 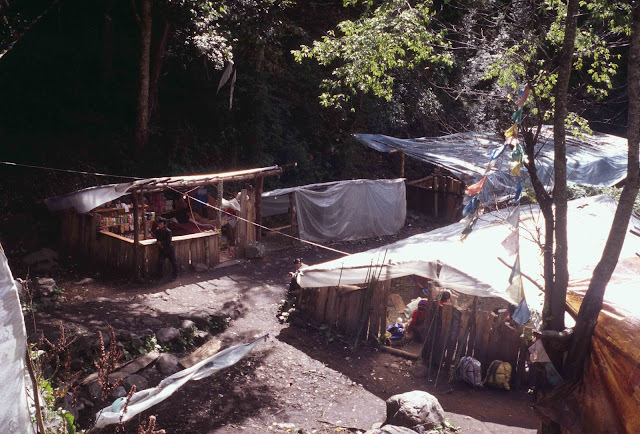 There were two roughly-built temporary wooden huts. In one there was a fire going with a big cauldron of water on it steaming away, and a large flat undercover area where we could sit down and prepare some dinner. 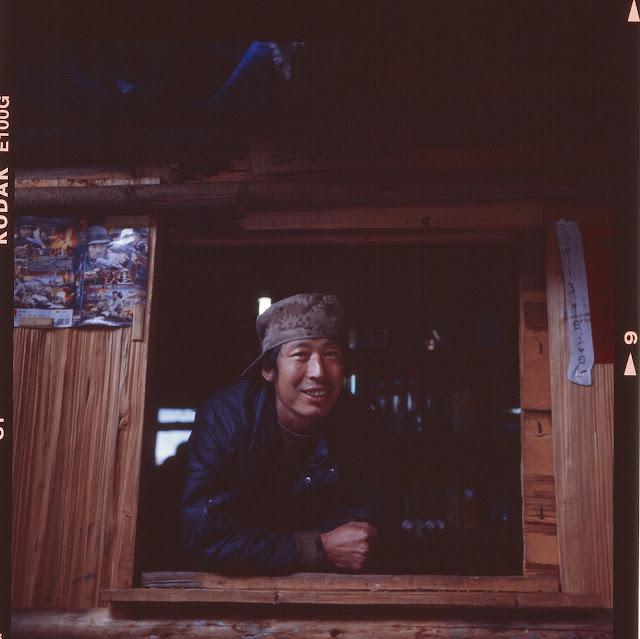 The fire was tended by a Tibetan guy who also seemed to be proprietor of a ‘xiaomaibu’ store in the next door cabin. It sold noodles, beer and a few other practical knick knacks such as cheap torches and lighters. We hauled our packs off the horses and started to prepare our fancy western meals with the help of boiling water from the cauldron. It was covered with a big flat lid and also had a ladle – but the water it delivered seemed a murky and tasted of smoke. The fire smoke also pervaded the whole of the kitchen, rapidly inducing red eyes and fits of coughing in anyone on the wrong side of the fire. While I faffed around unpacking my pasta and western cooking pots, Darren tucked into a simple bowl of three-minute noodles that he’d bought from the store, and he’d already moved into the ‘dorm’ before I had started cooking dinner. The dorm was another empty shack that had dry leaves on the floor and a plastic sheet for a roof. Dorje told us to grab a place to kip, and I immediately upgraded our lodging to ‘executive suite’ by purloining a few bits of flattened-out cardboard box to put on the ground beneath our sleeping bags. And it was just as well that we bagged good positions, because the deserted dorm soon filled up as other groups of pilgrims started to arrive. By the time it got dark at 8pm the place was full to bursting. Andrew and Paul had already made themselves at home and were sitting around with their headphones on listening to their iPods and playing games on their mobile phones. Their big worry was that there’d be no electricity supply further along the trail and they wouldn’t be able to recharge their devices. They’d done really well on the trail on the first day, had no trouble keeping up and didn’t seem fazed by it at all. They took it all in their stride and didn’t particularly impressed by the setting or the cultural or physical uniqueness of the kora. 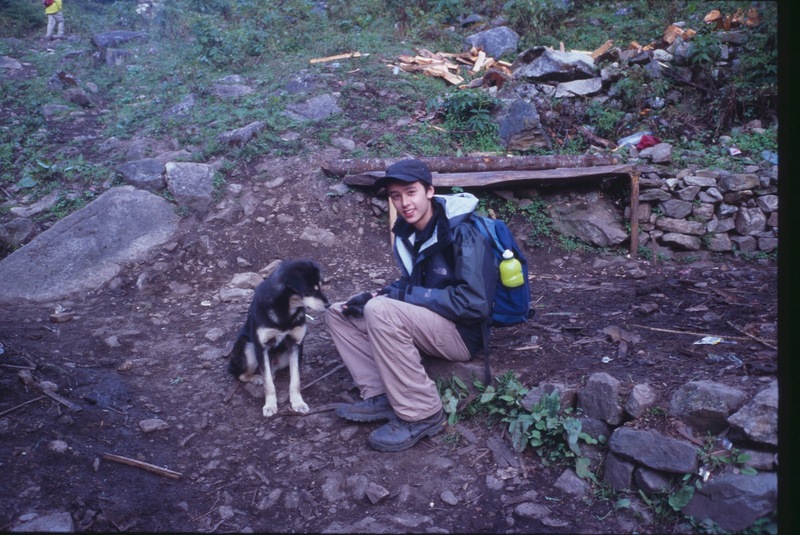 Andrew, in his usual way, had immediately struck up a rapport with other young Tibetan guys around the camp. Despite his limited Chinese he was babbling away with them, comparing the technical features of his iPhone 4 with the phones of the Tibetans – many of whom also had smartphones. I settled down to read my paperback (a bio of Laurence Olivier) in our airy dorm that was pretty much open to the elements. 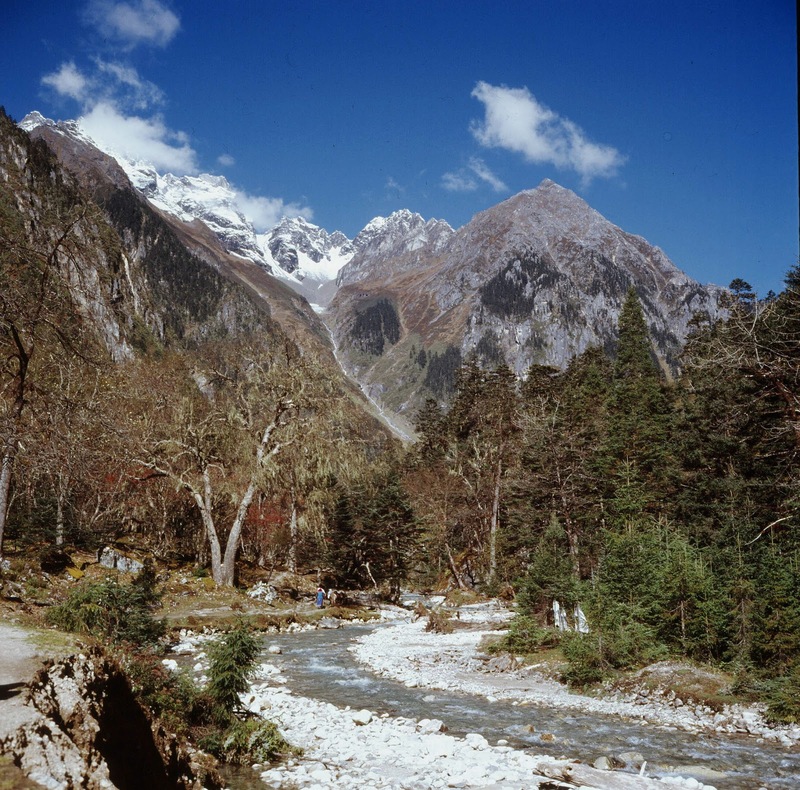 I was glad to have brought earplugs to block out some of the sound of Tibetan pilgrims chattering and coo-ing away all around us – and also to dampen the loud background roar of the nearby river. Before we settled down for the night, I asked Dorje how far away we were from the Doker-La. “Tomorrow ‘fang shang’ (reach the top)– a couple of hours away,” he said, before settling into his thin sleeping bag alongside grandma. I managed to sleep reasonably well in our rickety dorm, despite the altitude. I had come prepared with a water bottle at the ready for my usual night-time wakings with a dry mouth, and had also made a nice ‘pillow’ from my down jacket. However, we were all woken up early as a group of pilgrims got up and left in the dark at 4.30am. I dozed for a bit longer and then went to sit by the fire in the ‘kitchen’ shack, enjoying a cup of Nescafe. I was soon joined there by the storekeeper and an old Tibetan man who was slurping butter tea made by the usual plunger method. The storekeeper grinned at me and pointed to the older man. “Up the trail, yes, but only five minutes away …” the storekeeper replied. “Well, you didn’t ask …” he grinned. A few minutes later I was walking up the trail in the pre-dawn darkness accompanied by the older Tibetan man. I was still carrying my mug of Nescafe when he pointed off the track to a couple of tents pitched about 50 metres away under trees on one of the few level sections of ground in the area. If he hadn’t shown me where they were I would never have found them. There were a few astonished mutterings from the dark tents and then a head popped out. It was Pete. 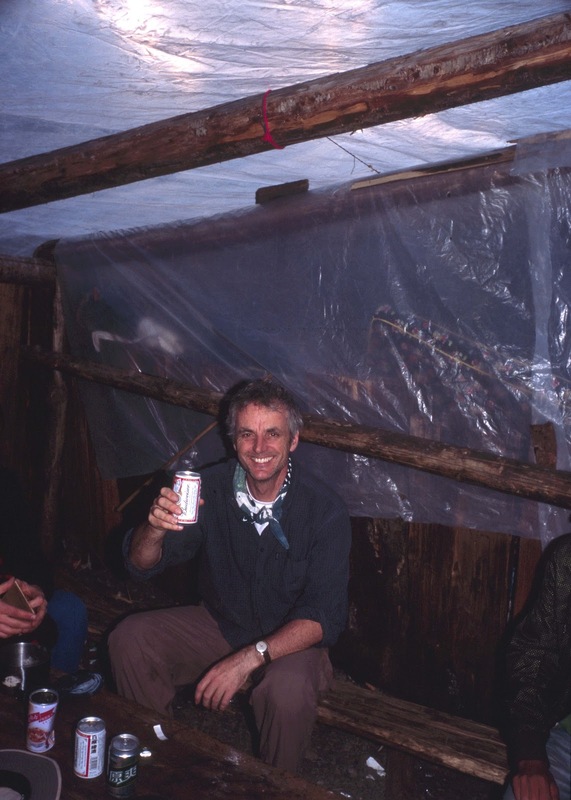 There then followed a surreal fifteen minutes as I conversed with Pete in the dark and then was introduced to his wife and two other trekking partners John and Monica, whose heads also pooped out of the other tent. We had a lot to catch up on, and continued our conversation down at the kitchen over breakfast. 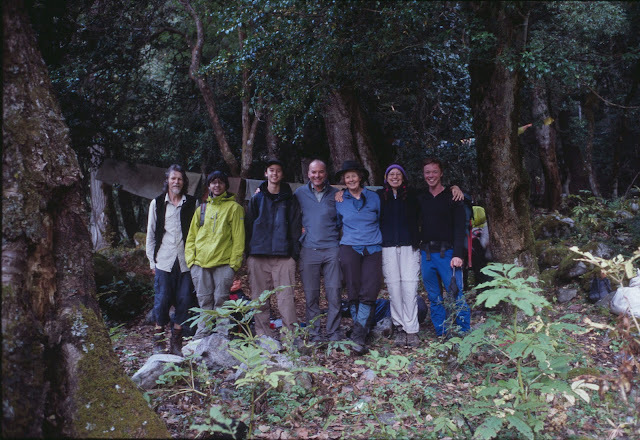 It was such a weird and unlikely encounter, like a meeting of the local bushwalking club, but under the crest of the Doker La in Tibet. 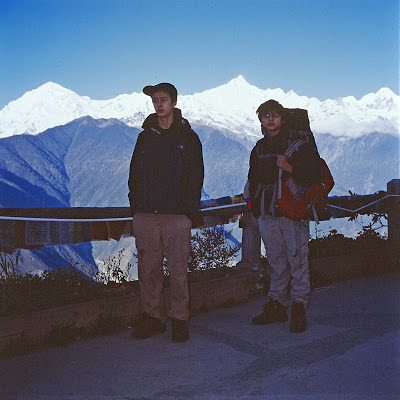 It was soon daybreak and before we knew it our guide Dorje was urging me to get packed up and ready to leave. Pete and his companions were aiming to spend 12 days walking the kora rather than our ‘rushed’ ten days, and had planned to explore a bit more and do some side trips. So as our walking schedules didn’t match we said awkward farewells after we had struck camp, and our party headed off in front to try get over the Doker La ahead of them. After a couple of false starts when we realised that we’d left hats and walking sticks behind, we were finally off to tackle the Doker La. The trail started off as a slow slog up through the forest alongside a large stream. It was another nice sunny day and I marvelled at the scenery that surrounded us as we gradually ascended to a large clearing in the base of the valley. We were surrounded by mountain ridges, and the forested slopes had waterfalls cascading through the beautiful autumnal colours. There was another pilgrim camp further up set amid a clearing and we paused for a quick lunch. Andrew, as ever the awkward teenager, insisted on having noodles rather than crackers for lunch, which meant unpacking all the cooker and pans from the backpacks. By the time his noodles were ready the guide was already ushering us to pack up and move on. We continued on up the river until we reached a second pilgrim camp in a series of open meadows with even more spectacular views of the surrounding mountains and forests. A sign proclaimed this to be the Doker La camp. From here, the track left the valley floor and headed steeply up the left hand (western) side of the valley. As we slogged out way up out of breath and stopping every few yards, we were soon left behind by our Tibetan guides, who seemed to be able to walk at a constant and unrelenting quick pace – even the grandmother spinning her golden prayer wheel surged ahead of us. I was lagging at the back, partly because of my poor fitness and lack of acclimatisation to the altitude. I also had the problem of my boots falling apart. Foolishly, I had opted to walk in a pair of trusty old hiking boots that were comfortable but starting to show their age. Now under the constant duress of the trail the sole of the right boot had started to separate from the boot and flopped about like a wagging tongue. The only thing I could do was to tie a spare boot lace around both the sole and boot tip. This wasn’t much of a solution as the lace kept slipping off and the toe of the sole would catch on rocks, bend back and peel back even further away from the leather body of the boot. We continued up the trail, with the pass now looking tantalising close. But the distances were deceptive and it proved to be an even harder and slower grind up the last mile or so to the top. Nevertheless, I was pleased with my progress. A year earlier I’d broken my leg badly, sustaining a tibial plateau fracture and broken ankle when I was hit by a car while cycling home in Sydney. I had been three months off work on crutches and this was my first real trek since the accident. I’d done a few practice day walks and weekend trips around Sydney before coming on this trek, but nothing as rigorous as this. So far, my leg and its metal pins seemed to be holding up fine. 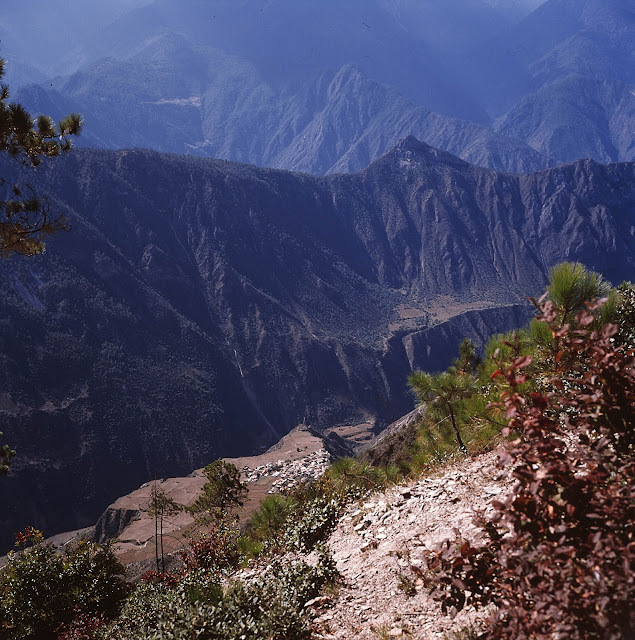 After about an hour of grinding up the gully in the side of the valley we eventually emerged into a hanging valley that led up to the Doker La. Now we could see the whole trail ahead of us, with the final section zig-zagging right up to the ridge line high in the sky. I whooped with triumph. 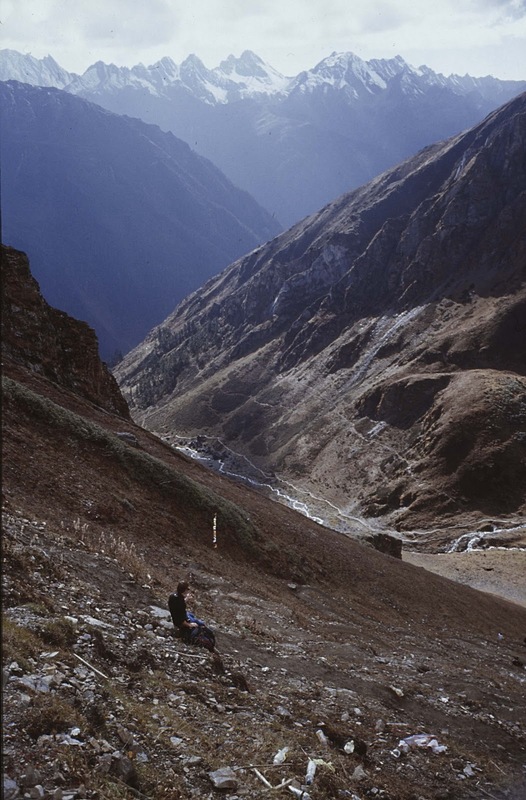 The Tibetans were sat waiting for us up ahead, and we paused for breath and sat to admire the views all around us. Once I stopped walking I started to feel chilly and put a jacket on. However, once we got moving I found it too hot and restricting. And so, even at nearly 4000 metres in altitude in late autumn it was still possible to trek in little more than a t-shirt and shirtsleeves. However, another side of me was terribly excited about the prospect of reaching the Doker La. I recalled that picture of Joseph Rock posing for a portrait photo on the pass, wearing his tweed jacket and sturdy boots, and with his hands firmly on hips. The Doker La! The official gateway to Tibet and the pass from whose heights Tibetans would fling themselves to their deaths, in the knowledge that they would pass straight into heaven from this sacred spot! 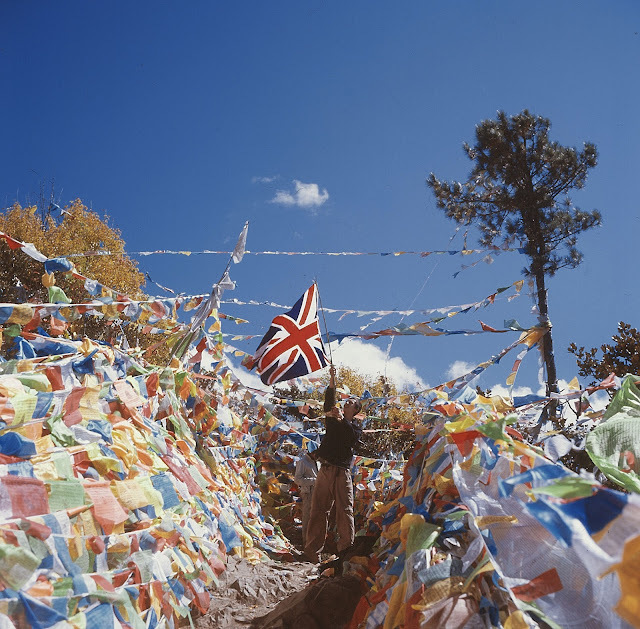 I’d always imagined having a while to savour the atmosphere of the Doker La once I got up here, but when we did snake up those last few yards amid a sea of prayer flags, I had only a few brief moments on the pass itself. This was partly because there was barely anywhere to stop and rest. The pass was literally a knife-edge ridge, with just a metre or so of flat ground on which to pause. Most of the area around the pass was festooned with impenetrable tangles of prayer flags, with only a passage wide enough for a horse to get through to the other side. I managed to get Darren to fire off a couple of quick pictures with my camera, but again the prayer flags blocked most of the view. My other reason for not lingering on the pass was the sheer terror that I experienced when I looked over the edge on the other side. At first, it looked like a sheer drop with just a faint path indented into the side of the cliff. I dare not even descend the few yards it would require to take a closer look, and instead I pleaded pathetically with Darren to go ahead first. He went down and said that it looked ‘do-able’ – but by now I was getting into a right panic. I tried to stop the Tibetan guide Dorje from going over and told him that I didn’t want to continue, and that I wanted to turn back at this point. He looked at me as if I was mad and said the trail was fine. And with that, he headed off with the two horses in tow, stepping gingerly down the trail. Before I knew it, he had disappeared around a blind corner and was gone. I hollered after him and told him to stop. After a while he came back, alone and told me it was OK, and gestured that he would guide me down. And so it was I descended from the Doker La, literally having my hand held on some scariest and most exposed sections of the trail. As I edged along the track the guide gestured towards a thick rope nearby, stretching down the steep slope from the pass. “That’s the emergency rope for when it’s icy and frozen up here,” he said. 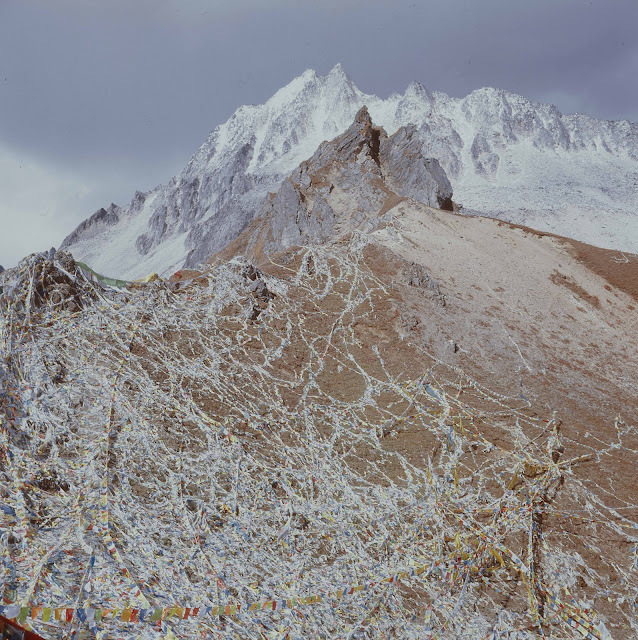 “Pilgrims just hold on to it and go straight down …” To me it looked suicidal – perhaps it was the modern Tibetan way of entering heaven. Soon we were over the worst though, and I then felt a mixture of exhilaration at having survived the steep descent and embarrassment for having been so easily scared. My two sons had descended unperturbed, wondering what all the fuss was about. However, there was still a long and gruelling descent into a rocky basin, encircled by black and sinister-looking rocky ridgelines. I didn’t care. I had done the Doker La! By the time we reached the bottom it was after 4pm and the guide was urging us to get a move on. He said it would be at least two more hours before we reached the next camp. It didn’t feel like that. I lingered at the back with Darren and we continued our descent down into a curving valley. I couldn’t stop taking photos and could hardly believe when I stopped and looked back at the Doker La that I had descended what looked like an impossibly steep slope. An hour or so later we turned a corner and saw a couple of shacks in a clearing by the river on the valley floor below us. This was Zasutong, where we would stay for the night. When we got there, the place was already teeming with pilgrims – and many of the young Tibetan guys were delighted to see us. They spoke only a little Mandarin, but managed to tell us that they had come from Yushu in Qinghai to do this pilgrimage, and they all wanted to have their pictures taken with us – on the mobiles and digital cameras. How different from when Joseph Rock lugged his huge box camera and glass plates to take pictures of the pilgrims! 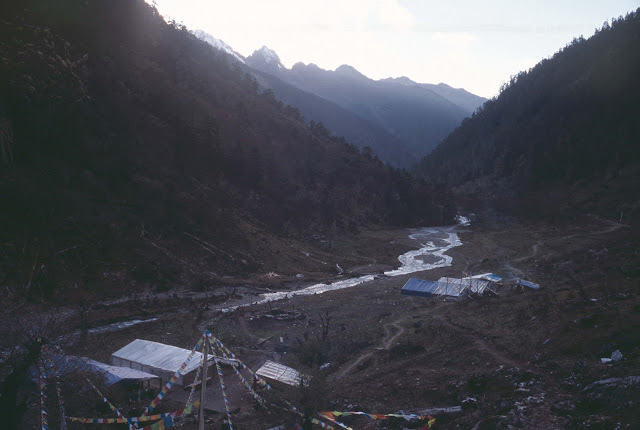 Rather than camp among the noisy and restless pilgrim groups in the large wood-and plastic-sheet dorm, I crossed over the river by a wooden footbridge and selected a level bit of grass and put our tent up there. Having brought the tent all this way it seemed a shame not to use it. But as with all camping activities, it seemed to require an inordinate amount of energy and patience to get the tent up and all the sleeping bags and mats sorted out. By the time I’d finished I was exhausted, which probably explained why I clumsily knocked my risotto dinner all over the floor while cooking it on my gas stove. I had to start all over again, but at least I could sip on some of the home-made red wine given to us by our guide Dorje – made from grapes cultivated in Yongzhi, he claimed. It tasted good and was just what I needed to finish off a remarkable day – meeting up with the Aussies on the Tibetan border and then crossing the Doker La. After dark and a bit worse for wear, I switched on my head torch and wobbled back over the slippery log bridge that spanned the river, trying to find the tent. Even though it was only twenty yards away it was hard to find in the darkness. Before getting in, I paused to gaze in awe at the vast array of stars above in the perfectly clear night sky. It was a wonderful sight, especially when framed by the mountain ridges. It took us another two days to reach the Nujiang from Zasutong, and the walking was a bit of an anticlimax. 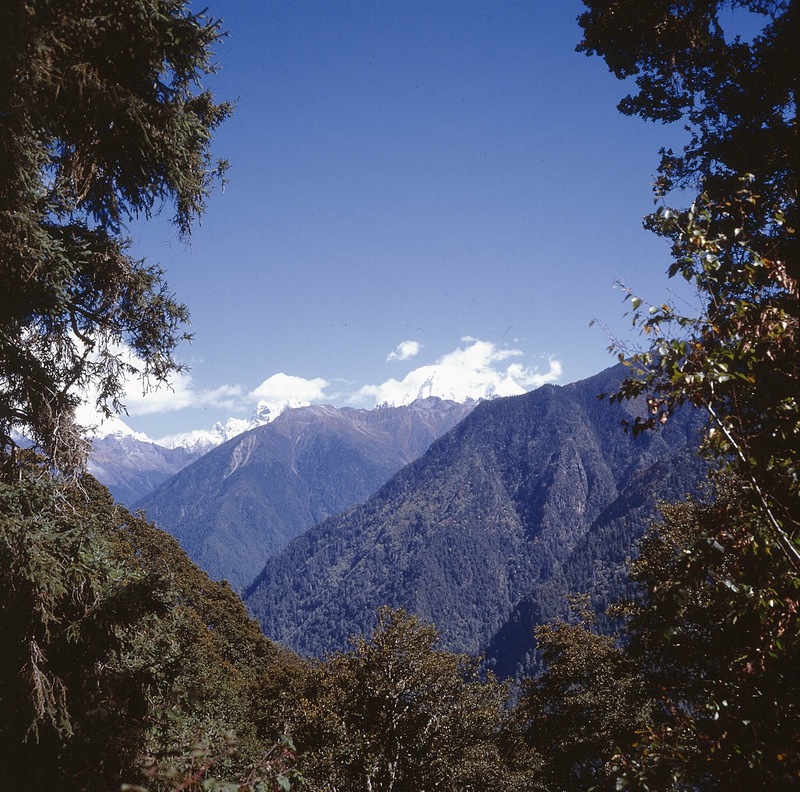 After the spectacular scenery of the Doker La, the trail was mostly through thick forest with only occasional views of the surrounding valleys and mountains. We’d spent a cold night in the tent by the river in Zasutong and I slept badly, lying awake worrying about whether we’d be able to get through the checkpoint undetected at Chawolong. In the early hours I lay in my sleeping bag envisaging being apprehended by the PSB and trying to think of some credible excuse that I could give them for being in Tibet without a permit. I also worried about the state of my boots, and whether they would hold up to another week of arduous hiking – and especially the big climb over the Sho La to get back to the Mekong valley. It was still hard to imagine that we would still be on the trek a week from now. At 7am we got up and started the wearisome process of clearing out the tent and packing it up in the freezing cold pre-dawn darkness. The tent flysheet was covered in ice and all the things we’d left under the flysheet - such as boots and backpacks - were now frozen solid. I dispatched the boys over to the camp to get breakfast, but worried about them crossing the icy and slippery log bridge over the river. What if they fell in and were swept away? It would only take a minute or two in that icy water to bring on exposure and hypothermia. As it got light we tucked into a rushed breakfast around the fire, and Dorje was already up and loading up the horses. The other pilgrims had already departed. We set off without further ado, but as usual I had to have a “shake down” after about 20 minutes of walking to sort out the most comfortable clothes for walking in and to rearrange how I was carrying my cameras. 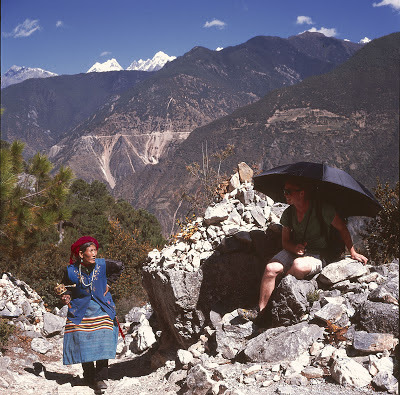 The trail was through forest and went up gradually for a few hours up to another pilgrim rest station, where a young Tibetan woman was overseeing a small shop. She had a young daughter there with her, sitting on a bed. What kind of life must it be, I wondered, to be living alone in the middle of the forest for days on end? No electricity or modern comforts, just a bed in a shack surrounded by boxes of noodles and drinks. Andrew was there before me and had already befriended the local dog, which looked fierce but was grateful for the bits of salami he was feeding it. Andrew donated his Angry Birds fluffy toy mascot to the little kid, who fingered it with amazement. After a quick snack and drink we continued up the hill to a minor pass on a crest of the wooded hillside. 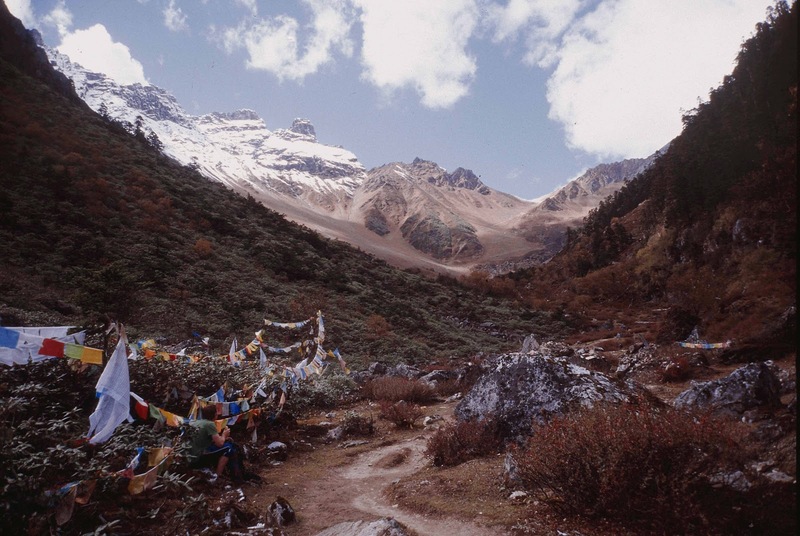 This pass – the Lu-ah-sen La- had the usual streams of prayer flags and items of clothing, beads and other trinkets. We nicknamed it the Bowl Pass, because previous visitors had also left scores of bowls of tsampa there as offering to the deities. However, the tsampa had obviously been there a long time as it had gone rancid, leaving a terrible pong about the place. The rest of the day was spent in a long descent through the forest to a river camp called Chonating. The drop in altitude must have been substantial because my ears popped three times before I reached the river. As our guides walked at a faster pace we became separated during the long afternoon and as the day wore on with no sign of them I started to worry that we’d followed the wrong track. Eventually, however, we bottomed out at the river, where I saw the guides ahead passing a few more shacks next to a bridge. We didn’t stop here, however. I managed to catch up with the Tibetan grandma, who didn’t pause but walked over the bridge, yodelling away as she continued to spin her prayer wheel. 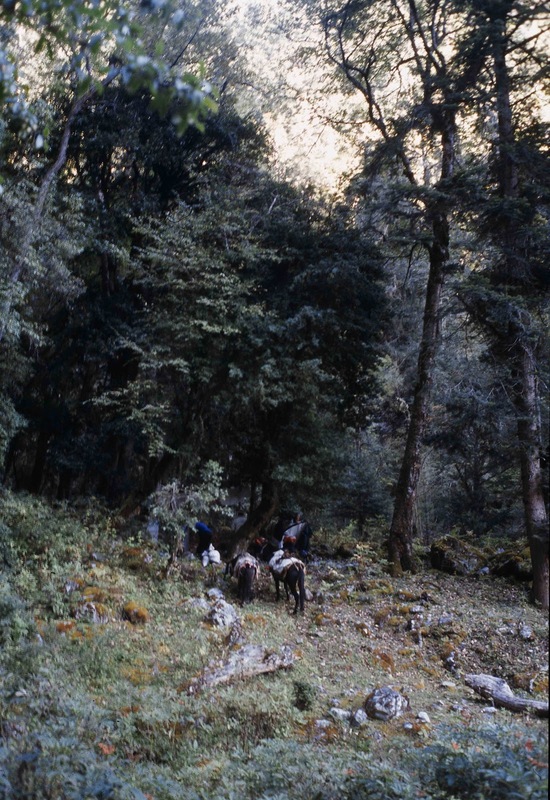 After another half hour we reached yet another group of shacks in the forest, and I saw with relief that Dorje had now halted and was taking the bags off the horses. This was Upper Chonating, he said, and we would rest here for the night before tackling the next major pass the following morning, the one that would take us over to a village called Abing and the Nujiang. He then explained how he planned to hire a truck in Abing, which would take both us and the horses along the road after dark to a place beyond Chawalong, past all the checkpoints. I tried not to worry about it. To keep myself busy I did a bit of washing of clothes in the nearby river, hanging up the socks next to the little store, and then treated myself to a bottle of beer for my efforts. Andrew loped up looking sorry for himself. He claimed to have been stung by something, and pulled up his sleeve to reveal a glaring nettle rash. Being an Aussie kid he had never seen northern hemisphere nettles before and had been brushing his hand against them as he sat on a low wall. Soon it was getting dark and in my beery haze I admired the silhouettes of the other pilgrims made by the weak bulb against the dirty plastic sheeting walls. It was quiet except for the murmuring of the Tibetans and the distant roar of the river. This was about as remote as you could get - deep in the forest, separated from even the most isolated villages of Tibet and Yunnan by 4000 metre passes. I tried to savour the moment, but just felt tired and uneasy about the days ahead. 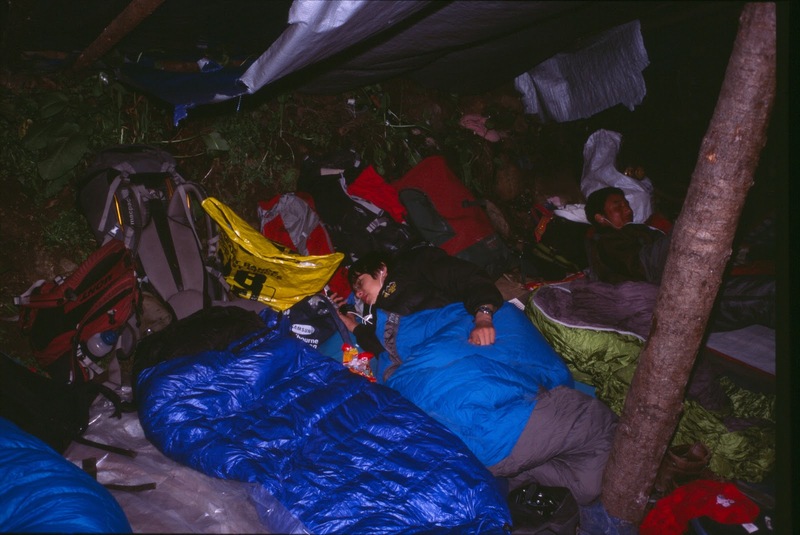 Once again we spread out our sleeping bags on the leafy floor of the dorm and made ourselves at home for the night. The next day was more of the same, walking in the forest - only this time uphill all the way. The track started ascending almost as soon as we left Chonating and continued on an unrelenting incline for the rest of the morning. The first couple of hours weren’t too bad, but by mid morning the altitude was getting to me and I was reduced to taking twenty paces and then stopping for breath. Dorje wanted us to press on and would not stop for even five-minute break. He and his family pressed on, leaving me behind, and even the boys were able to make better progress than me. Soon I found myself left behind. It was quite spooky being alone in the forest, because now there weren’t even any other pilgrim groups about. 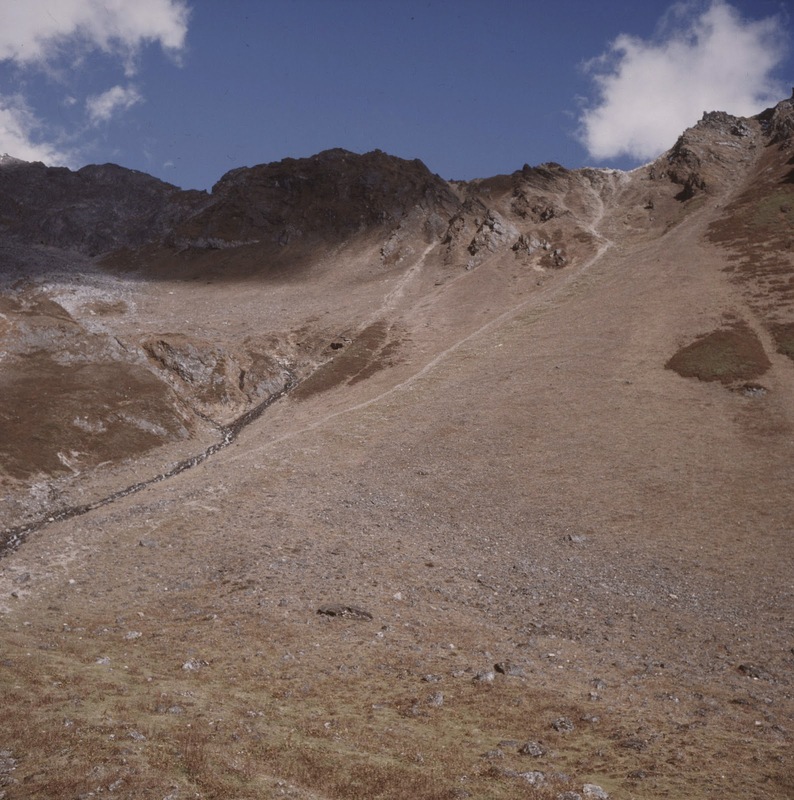 Over the last couple of days we’d crossed paths with various family groups of Tibetans – sometimes we would overtake them on the narrow trail, and then they would later catch us up during our rest halts and overtake us again, all accompanied by many ‘Tashi Delays’ and sniggers. Some groups comprised three generations of an extended family: grandmas, young husbands and wives and kids, all lugging their belongings or babies on their backs. Sometimes the pilgrims were just a couple of young guys, who would stop and take pictures of us with their Phones. 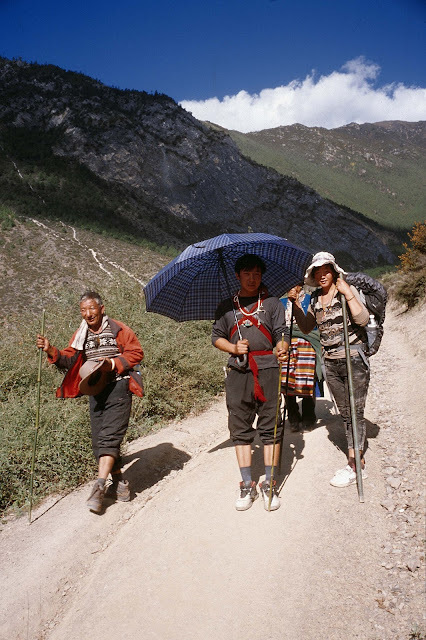 On one uphill stretch I was embarrassed to be overtaken by a group of young Tibetan men that included one who was lame in one leg and had to be supported by a friend on either side. That’s how slow I was. We paused briefly at a pilgrim way station half way up the hill, and I was already knackered. After a few crackers and a cup of tea made from boiled but strange-tasting water, we were off again. More uphill, and it wasn’t long before I was straggling behind again. As the afternoon wore on and the sun got higher I ran out of water. There were no streams or other water sources and I was soon parched and gagging for a drink. I cursed the others for leaving me behind – my spare water bottle was in my bag strapped to the horse. By now the altitude was really affecting me – I was panting like a steam train, feeling dizzy and was only able to take ten steps at a time before having to rest. I started to call out for those in front to wait, but got no reply. Then I tried whistling with my fingers in my mouth, but my tongue was too dry to get any sound out. I began to despair – wondering how long I would have to wait before anyone came back to check on me. Then, just when I was about to give up, I turned the corner and before me were a couple of makeshift shacks by the track, apparently deserted – the fire was out. I called out, but there was no reply. It was eerie. And yet the shop was stocked with all the usual food and drink, so I hopped over the counter and helped myself to a couple of bottles of grape juice. I took out 10 RMB and left it under another bottle as payment – and then noticed a few other people had done the same thing. There were notes of RMB left at various places in the shop by other honest bypassers. I wondered how long the proprietor had been away and when he or she would return. I carried on up the track, refreshed by the much-needed drink, and about an hour later saw the first sign of prayer flags ahead. 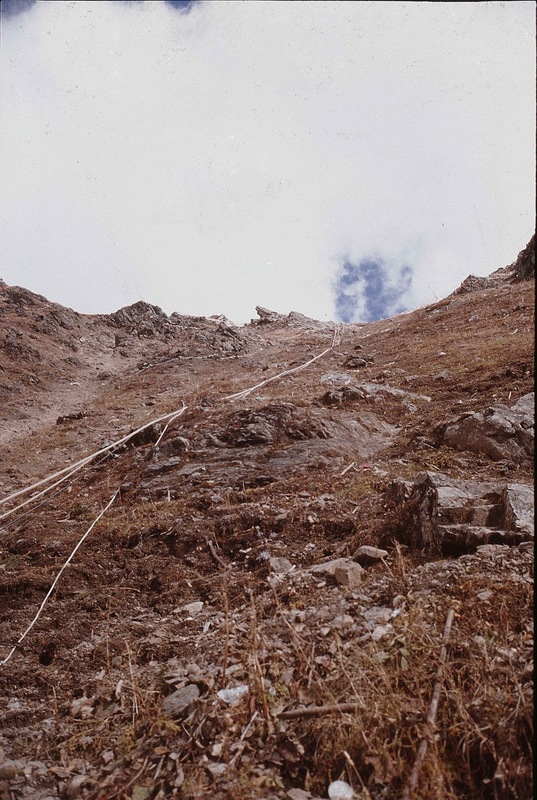 Was this the summit of the Sing-Kang La pass that had to be crossed before descending to Abing? I hoped so. Prayer flags were strewn throughout the forest and suddenly I stumbled across the rest of our party, all sat around, quite oblivious and indifferent to my advanced state of exhaustion. But it didn’t matter, because this was the Abing pass. We pushed our way along a narrow passage through the mass of prayer flags, to find ourselves on the edge of a ridge looking down on a cluster of buildings far below. It was like the view from an aeroplane window. The mountain ridges receded into the distance, and across the other side of the vast canyon was the deep trench of the Nujiang. 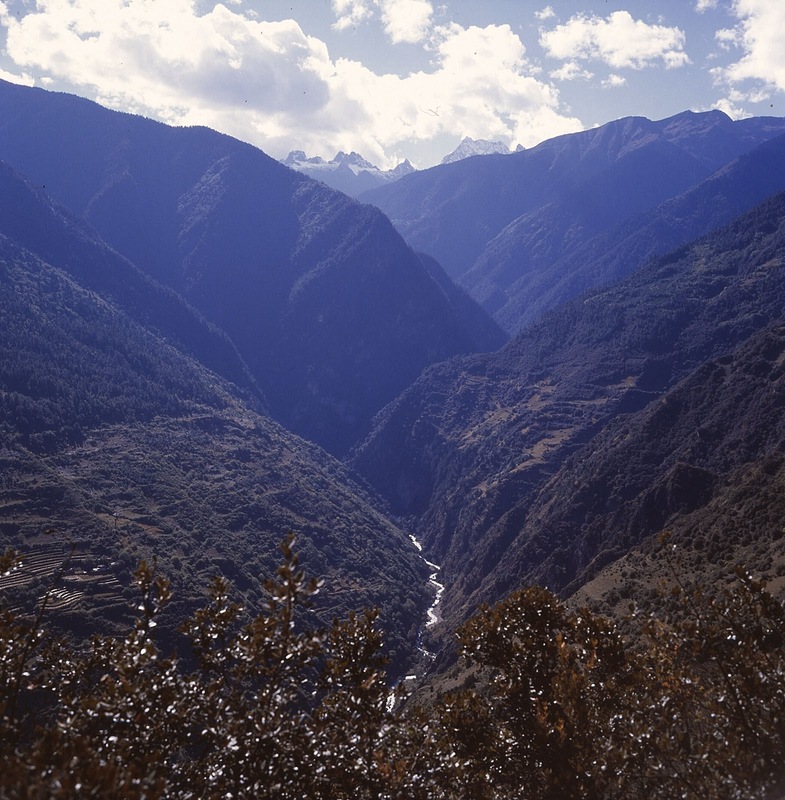 At last, we had crossed the main divide between two of the great river trenches of Asia! From here on it was downhill all the way to the Nujiang. But first we paused to take a few pictures. As we did so, we were overtaken by a large group of Tibetan pilgrims. After the impression of being alone in the forest all day, it felt weird to see that so many people had been following right on our heels. 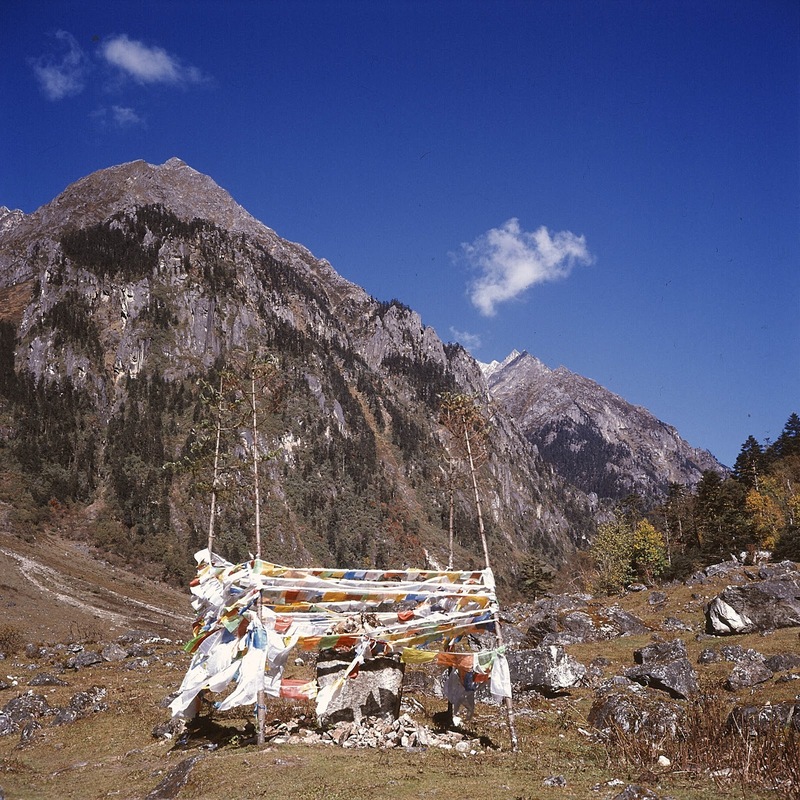 This was obviously a sacred spot for them, as they cheered, whistled and arranged their own offerings and strings of prayer flags. However, we had an unpleasant encounter with one young Tibetan guy who objected to us walking backwards along the path to retrieve our day packs. In contrast to the friendliness shown by all the Tibetans we’d met so far, this guy had already displayed a truculent and surly attitude towards us when he first went past. He then plonked himself and his bag down near us and started scowling at us as we snapped away with our cameras. When I tried to go back up the track he stood up and blocked my way and gave me a filthy look, gesturing for me to turn around and go back down the track. I knew that Tibetans believe that you should only go clockwise around shrines, so I didn’t try to force the issue, and headed down the track for a few yards, waiting for him to move on. But he just sat there, glaring at us. A few minutes later my son Andrew came back up the track to try retrieve some prayer flags he had left by the wayside. Again the Tibetan kid tried to stop him, but my headstrong teenage son just blabbed in bad Mandarin about having something to pick up and barged on past. The Tibetan guy looked furious and his expression was now pure murder. When he returned I had a big argument with Andrew about respecting the wishes of Tibetans, and at least waiting till the guy had gone, but he just shrugged his shoulders and dismissed my concerns, saying the Tibetan guy was “cool with it”. Not waiting to confirm this, I hurried him on down the track, back through the forest, trying to get as far away as I could from the mad Tibetan guy. 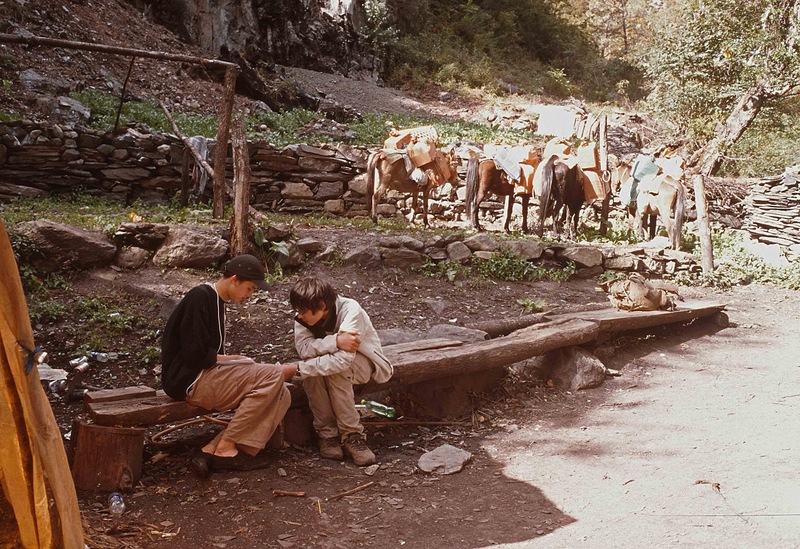 I explained to Andrew that a couple of years earlier in Kangding I’d seen a Han Chinese tourist attacked by a local Tibetan guy who’d been enraged when the Chinese guy ignored his warnings not to keep walking anticlockwise around a Mani stone shrine. The incident had led to a near riot as other Tibetans joined in, throwing stones at the minibus carrying the party of bewildered Han Chinese sightseers that included the one who had been slashed. When we caught up with Dorje and related the story he laughed and said it wasn’t disrespectful to walk anticlockwise around a shrine so long as you walked backwards and your feet were pointing clockwise. “He was probably a just young punk jealous of you and your money,” he said. We descended along a wide track out of the forest onto a dusty and open hillside, but Abing still seemed a long way below us - and so it proved. It took us another couple of hours of knee-shattering descent before we even got close to the Tibetan village. The track veered this way and that and passed some wooden huts and a snooker table, where a few more Tibetan kids were hanging out with a motorbike. How the hell did they get it up here? I soon found out when they followed us down the slope, bouncing over the rutted, rough clay soil between the stunted pine trees, tooting their horn. It was late in the day when we finally traipsed into Abing, which was a picturesque Tibetan village perched on a small round plateau above the Nujiang river. My knees were shot and my boots were by now coming apart. I was glad to be down in a ‘civilised’ part of the world again, but also doubtful of continuing at this pace for another seven days. Dorje had been pushing us to the limit, and I was certain that I just could not continue at the same rate tomorrow. We needed a rest day. 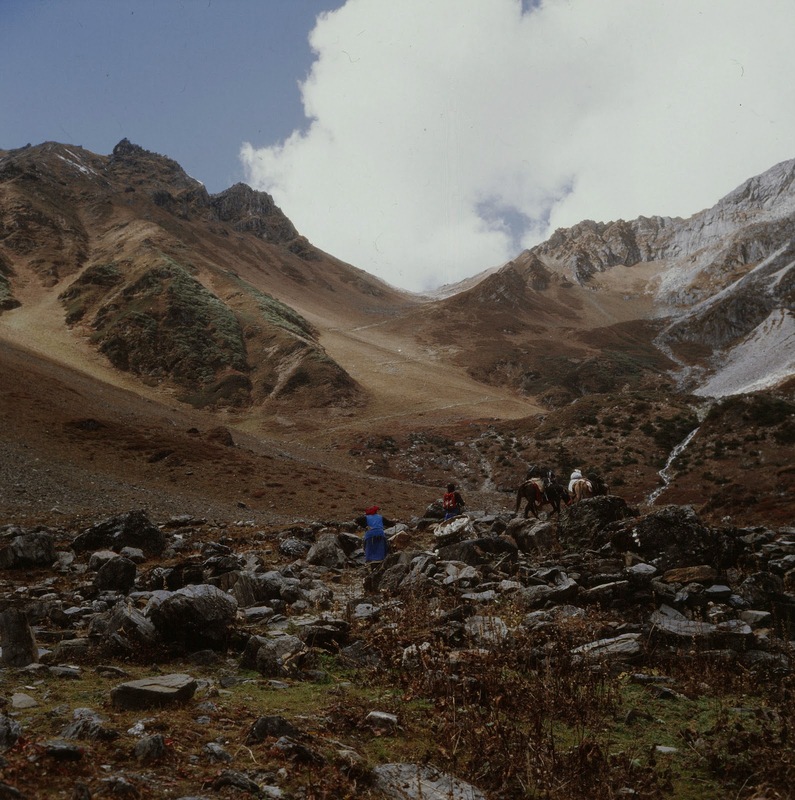 However, when I asked if we could take it easier the following day, Dorje shook his head said we were already behind schedule and would have to keep on at the same pace if we were to make it round the kora in ten days, which was my deadline. By now, Paul was also hobbling and limping, and found it hard to keep walking. That decided it for me. Already worried about the prospect of getting nabbed by the police and worried about my disintegrating boots, I decided to see if we could leave the kora at the Nujiang and head south back into Yunnan. 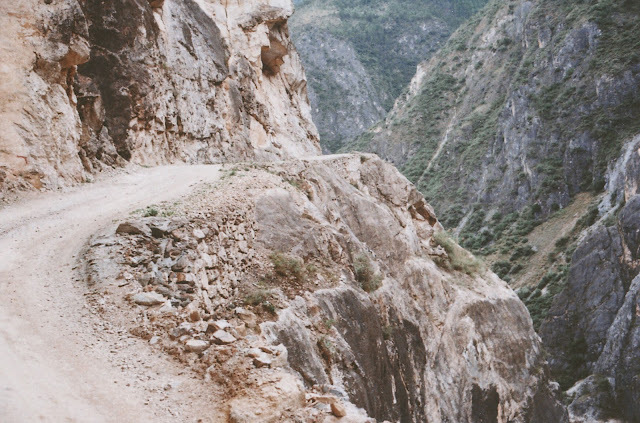 We could repeat our trip down the ‘road of death’ to Bingzhongluo from three years earlier. And that is what we did. 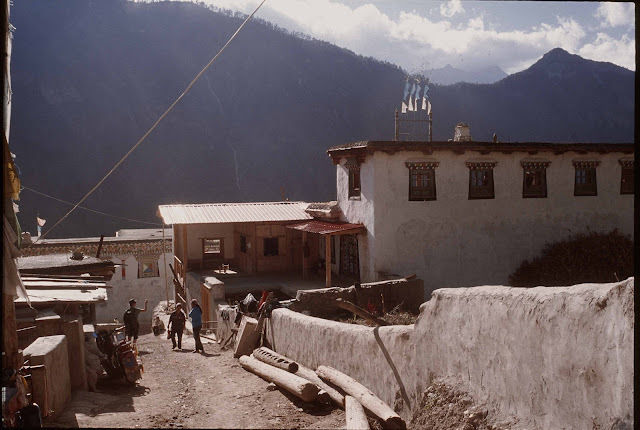 We hobbled into Abing to the surprise of many of the local residents, who stared at us from the verandahs and doorways of their Tibetan houses. Although it was a picturesque place, Abing now seemed to represent the worst aspects of ‘settled’ human communities. After the purity and comradeship of the pilgrim trail through the forest and mountains, Abing seemed idle, smug and indifferent. And almost as soon as I entered the village I got a shock when I saw a man in a black police uniform riding up the hill on a motorbike towards me. I didn’t have time to react, but he drove past without paying me any attention. Maybe he was just wearing police-style clothes or was off duty, but it put the wind up me. When we reached the village centre, based around a couple of simple stores, I told Dorje that we wanted to drop out and head down to Bingzhongluo. 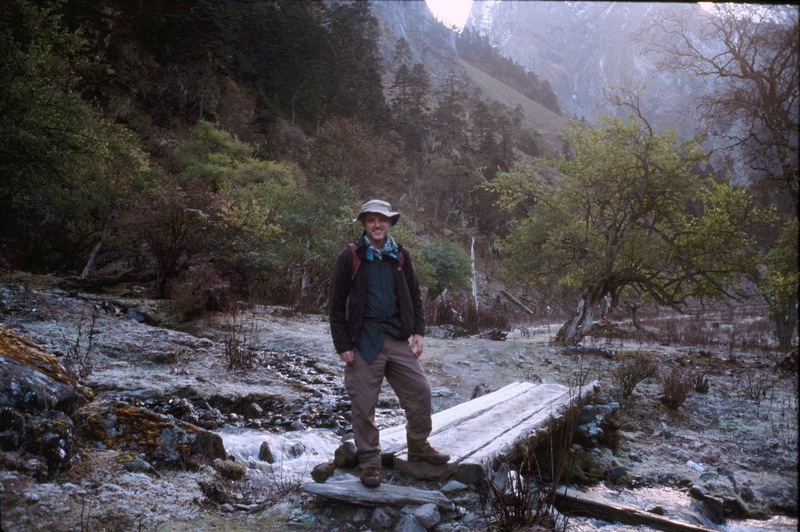 Once I made it clear that we would still pay him his full fee for the circuit he assented with surprising ease, and quickly negotiated with the locals to hire us a minibus to take us down to Bingzhongluo. Darren wanted to continue on the kora, so we arranged for a local guy to take him on the back of his motorbike past Chawalong after dark. And so that was the beginning of the end of our Kawa Karpo kora and our Tibetan incursion. Within half an hour of arriving in Abing we had paid off our guide and said our farewells to Darren and were sat in a minivan being driven down a dirt track towards the Nujiang river. The track followed a turbulent tributary for a while before joining up with the main Chawalong-Bingzhongluo “highway”. The Tibetan driver assured us that the road cut into the cliff was safe ( “so long as it hasn’t been raining”), but it turned out to be just as evil and dangerous as I remembered from three years previously. 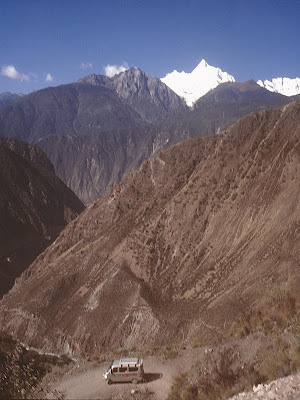 I was terrified of the precipitous long drops straight down into the river from the edge of the narrow road, and winced when I saw how bad the road ahead looked. 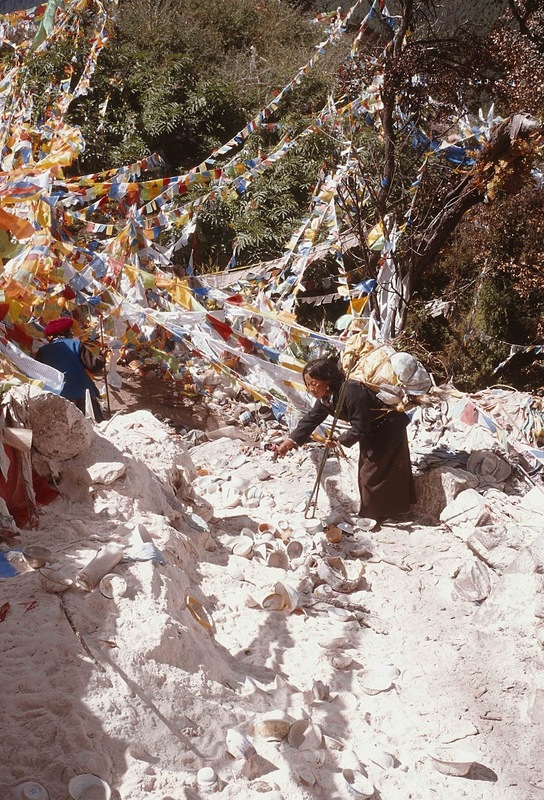 As he drove, the driver kept up a low murmuring chant in Tibetan, just like the lamas in temples, but this did nothing to reassure me of our safety or benefit from divine protection. When he stalled the van on a narrow section of the cliff track and the vehicle lurched back towards the edge, I lost my composure and insisted on getting out and walking along the worst bit. Even walking the two-metre wide track was scary enough – I dare not approach the edge and its sheer drop back down to the river. After a couple of hours we were over the worst sections of road and had passed the Yunnan-Tibet marker post, which now had a yellow sign which read “Strictly Forbid Foreigner Past This Point” in Chinese and something like “Forbid Foreigner Turn Into Strictly” in English. We settled down for another two hours of driving in the dark towards Bingzhongluo, and my two sons started arguing. I felt dispirited – I’d brought them along on this Tibetan jaunt thinking it might open their eyes to how others less fortunate than themselves lived, and that the trek might be a bit character building. I’d hoped the trek might instill in them a little bit of self reliance and selflessness, but here they were still squabbling over some details of a video game that they’d been playing online. They were still just a couple of teenagers who’d been dragged on a boring trip by their dad. As I was thinking this we passed the point in the road where three years before Paul and I’d been stuck for Christmas when our jeep ran out of petrol. Back then, there’s been just a couple of wooden huts by the road, but now there was a whole row of new concrete houses and workshops – it looked like the Chinese were pushing ahead with the dam construction on the Nujiang. Further on there was also a whole new tunnel that had been bored through the solid rock of the cliff. 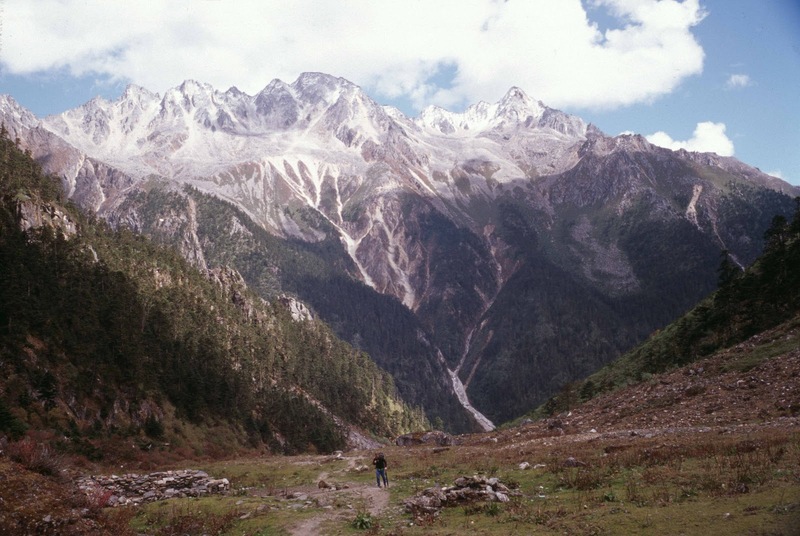 The Nujiang was no longer a pristine, unpopulated wilderness. God knows what it would be like in another ten years. Bingzhongluo had also changed remarkably. Where before there had been a single and forlorn hotel on the main street there were now several Dali-style backpacker hostels and bars. We arrived at 9pm and as we sought out a place to get something to eat, I realised I had seen enough of Joseph Rock’s travels. I had now ‘done’ pretty much all the Joseph Rock expeditions. I had been in his footsteps from Muli, Gongga Shan and Konkaling to Muti Konka, Choni and now the Great River Trenches of Asia. It had taken me twenty years on and off, but now I had done the lot. 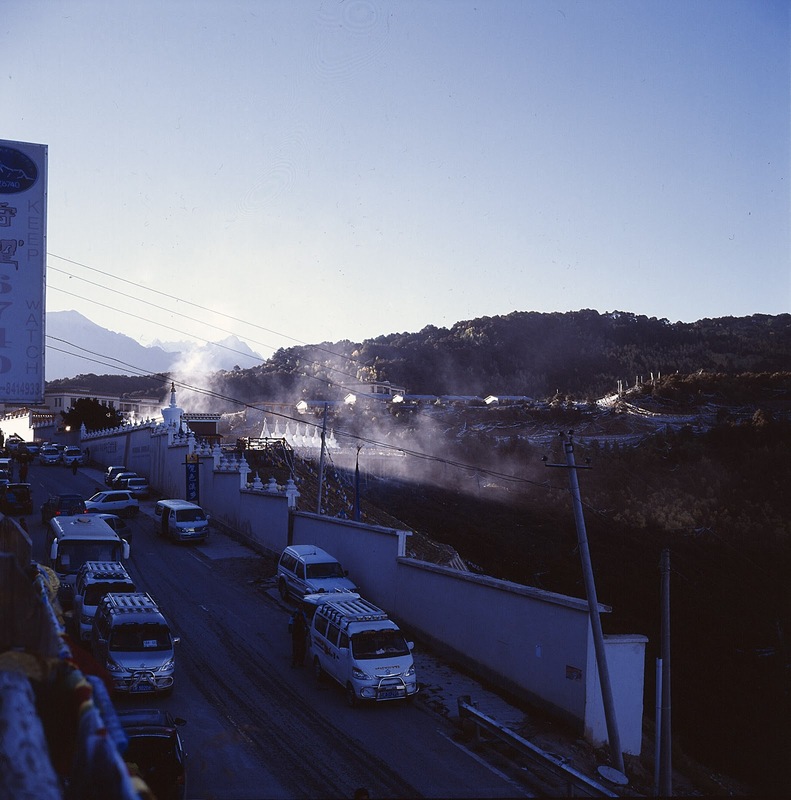 During that time, the places themselves had changed enormously – since the 1990s China had opened up, prospered, and embarked on a mammoth program of infrastructure development. In the 1990s most of the places visited by Joseph Rock such as Yading and Gongga Shan were still ‘off the beaten track’ – many of them still without road connections and unvisited by westerners or even Chinese. Now there were new roads, hotels and tourist attractions everywhere and domestic tourism had taken off in a big way. I was glad that I’d seen these places when they were still wild and unvisited. Perhaps I would re-visit some of them again for their natural beauty. However, I’d finally satisfied that nagging curiosity that had first been sparked by leafing through the pages of an old National Geographic magazine in the backroom of an Auckland library. 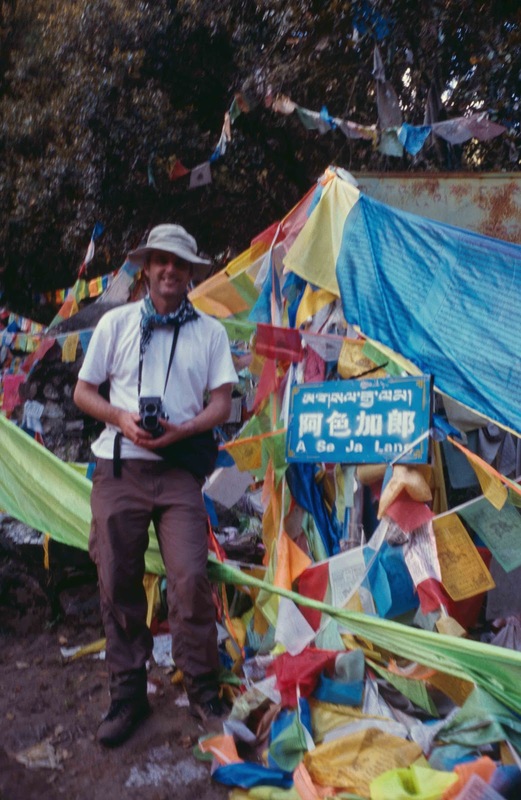 I had been in the footsteps of Joseph Rock and re-discovered the ‘lost’ parts of south-west China and Tibet that he had first visited in the 1920s. 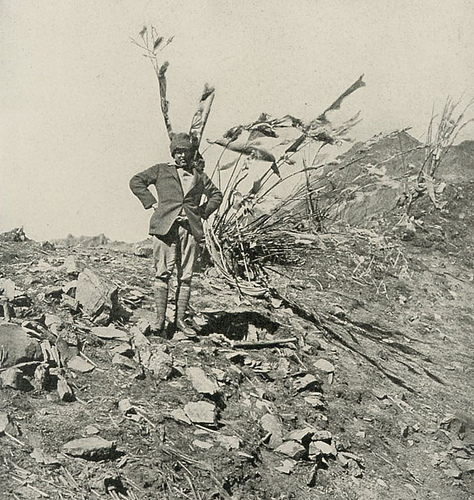 I had confirmed the outstanding natural beauty of these areas he had shown in his photographs and I had met the modern-day counterparts of the ‘lost tribes’ of local peoples. Contrary to his claims they had not died out or sidelined into wretched poverty, but had become part of the wider Chinese nation. The “hopelessly superstitious” Tibetans who as Rock observed “prayed without ceasing” now had iPhones and solar power. The wretched Pumi people he once dispensed medications to now went to medical school. The apathetic ‘aboriginal’ peoples of Muli had become internal migrants, moving to work in construction of factories in the east of China. The Huofo ‘Living Buddhas’ had been persecuted suppressed in the 50s and 60s but had now come back – many of them holding government positions. The Naxi dongba shamens and sorcerers of Nguluko were back in demand – available for weddings and tourist parties. A great read, as usual. Glad everyone made it back in one piece. Thanks John. Was a great trip - just wish we'd competed the whole kora now. Always easier with hindsight. Great account, I'm looking to do the same route solo in May. I'm curious, how did you mini-van from Abing to Bingzhongluo cost? Can't remember exactly but it was quite pricey as we were keen to leave that evening and not stay overnight. I think we pad about 1000 RMB for three of us.